Art Deco is a style of architecture that originated in France around the time of the first world war. It could be described as modernism with a fine attention to detail. 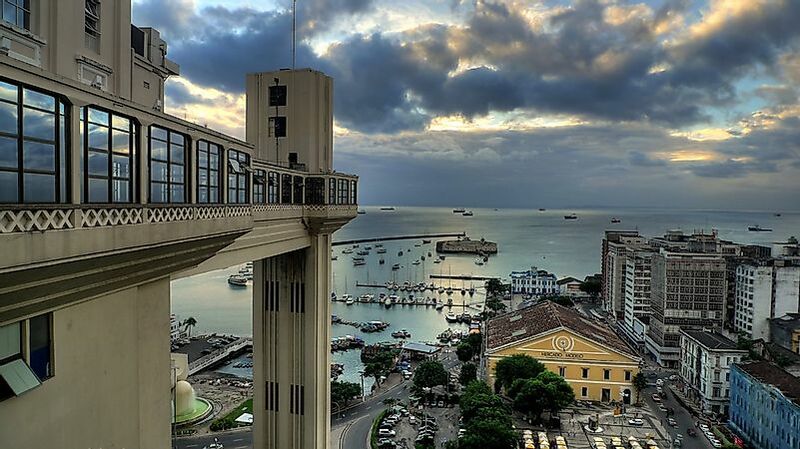 The Lacerda Elevator ​in Salvador, Brazi​l. Art Deco is a style of art, including architecture, that emerged in France during World War I before gaining worldwide popularity in the 1920s and 30s. An early example of an architectural style which was internationally implemented, Art Deco can be found on all corners of the planet, from North America to Europe to South America to Africa to Asia. 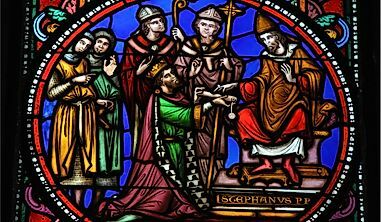 It is characterized by the use of rare, expensive materials and a keen attention to detail and craftsmanship. In the 1930s, Art Deco evolved into another architectural style known as "Streamline Moderne", which borrowed many aspects from Art Deco but valued smooth, long edges. 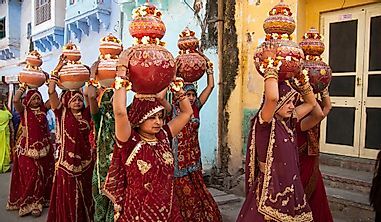 Below are some examples of treasured Art Deco buildings that can be found around the world. 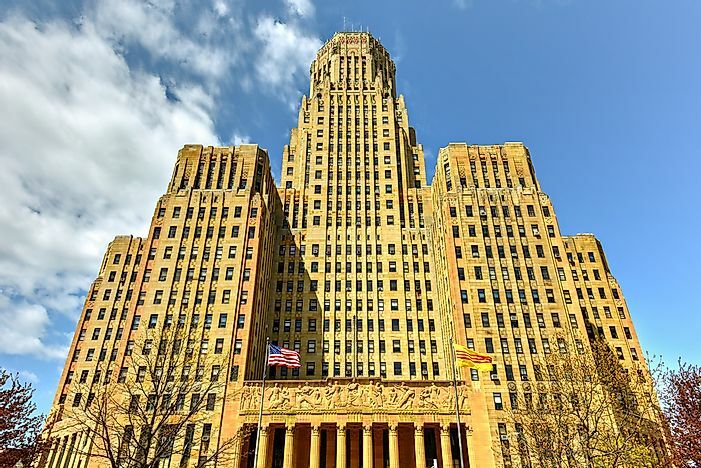 Buffalo City Hall is a 378-foot-tall building located at 65 Niagara Square. It is the tallest municipal building in the United States. 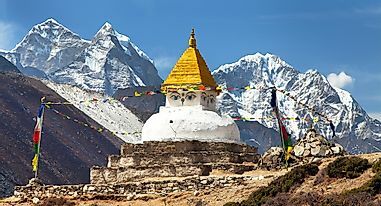 It was also one of the most costly to construct. Its collosal 32 stories are home to over 1,500 windows, 5,000 electrical outlets and 5,400 electrical switches! 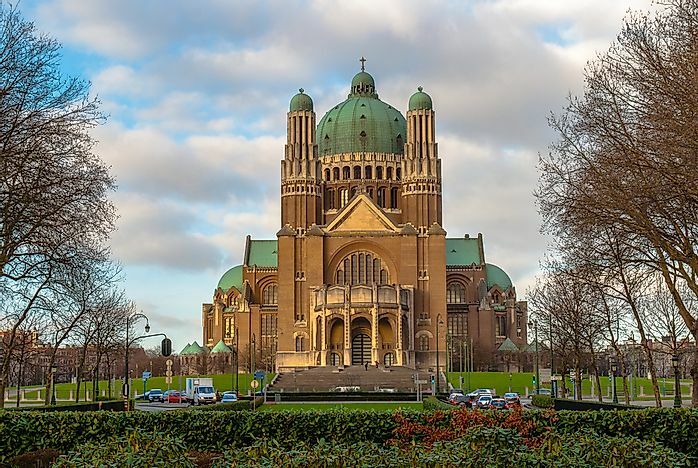 Basilica of the Sacred Heart is a minor Basilica and Catholic Parish church located in Belgium’s capital of Brussels. It is the largest building of its kind in the world. Its construction took many years, and was originally intended to be Neo-gothic in design before Art Deco plans were implemented. It won the prize for great architecture at the Exposition Internationale des Arts Decoratifs et Industriels Modernes in Paris, an exposition that is thought to have been the birthplace of Art Deco. The Eden Teatro was a landmark theatre in Lisbon, Portugal. was once a magnificent large-scale cinema during the interwar period with its imposing façade still dominating the main city square. 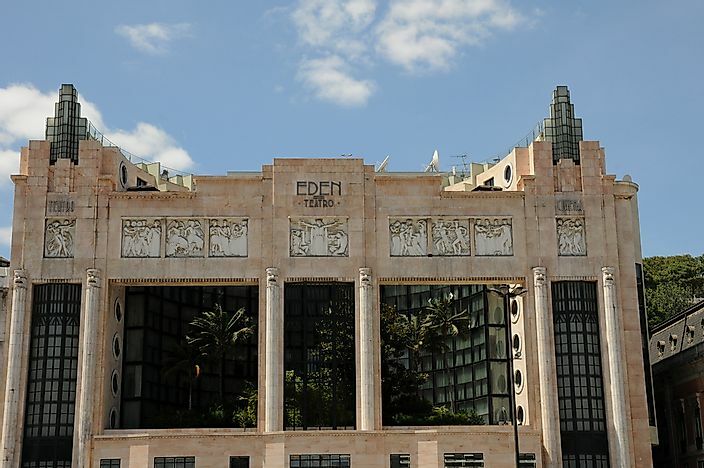 The building was designed by Cassiano Branco in the style of Art Deco and was opened in 1931 but was closed in 1989. The top of the building has a stone frieze depicting a stylized actor performing before crew while the name “Eden Teatro” is located on the stonework above. Eden Teatro was converted into hotel apartment in 2001 known as Orion Eden Hotel. 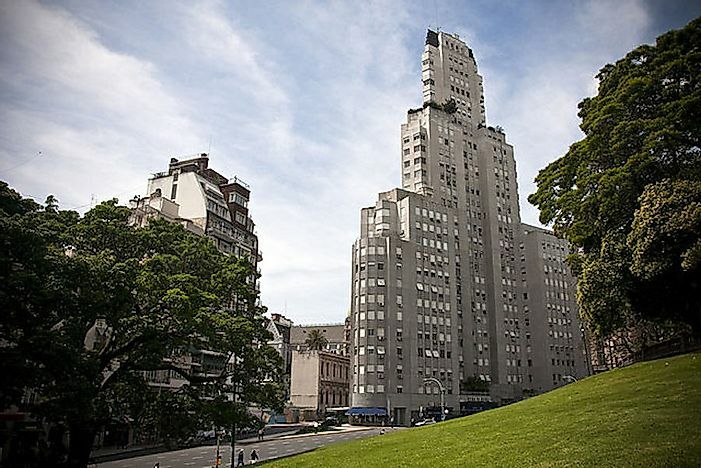 The Kavanagh Building is an art deco skyscraper located at 1065 Florida Street in Buenos Aires, Argentina. The building was designed in 1934 by local architects. The building is characterized by the lack of external ornaments, large prismatic volumes, and austerity of its lines. At its time of construction, it was unique for featuring a central air conditioning system, twelve elevators, and a state-of-the-art plumbing system. 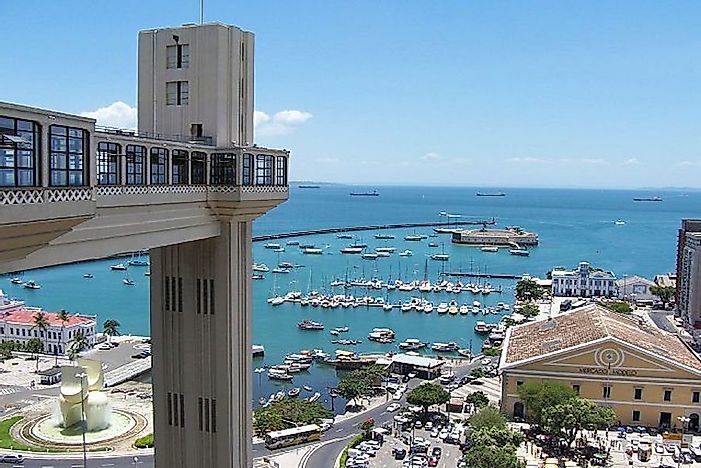 Lacerda Elevator is one of the most famous landmarks of Salvador, Brazil. 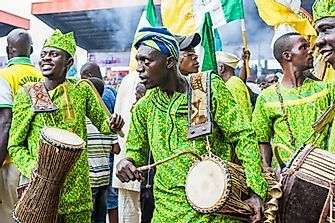 It is 72 meters high and was constructed to enhance the connection between the Upper City and the Lower City which were formally accessed through hills and horses. The elevator has a granite floor and wall with an elegant lighting system. It is a unique example of Art Deco influence in South America. 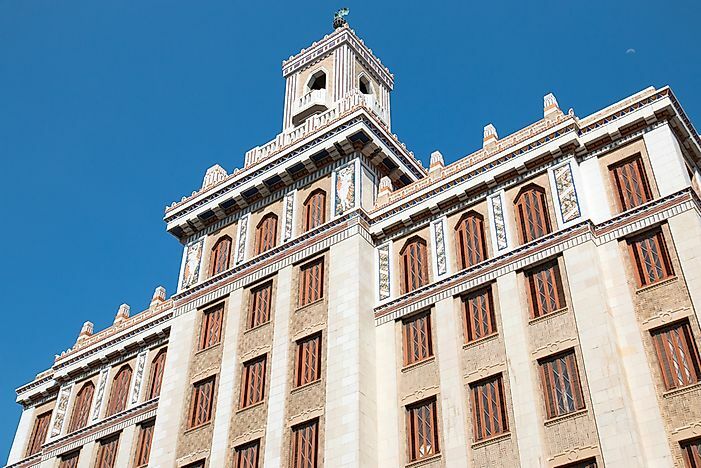 Bacardi Building is a principle landmark in Havana, Cuba standing on the western edge of the city’s historic center. The building was initially constructed with a neo-Renaissance but was later reworked into an extravagant of art deco style after the 1925 Paris Exhibition. Bacardi Building is 12-story high and was completed in 1930 becoming the largest building in the city at that time. The building was used as offices after the departure of Bacardi from Cuba after the Cuban Revolution. 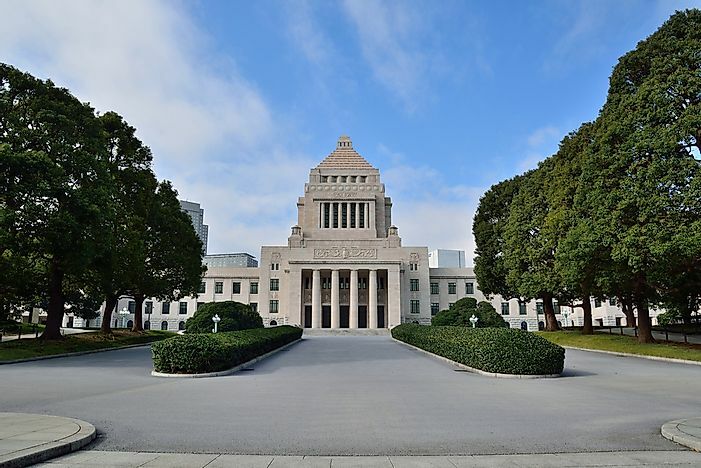 The National Diet Building is located at 1-chrome Nagatacho, Chiyoda in Tokyo, Japan. It is the meeting place for the assemblies of Japan's legislature. The construction of the building was completed in 1936 with materials that were primarily native to Japan. The building features ornate stained glass. The construction of the city hall of Los Angeles, California was completed in 1928. Its concrete was made from sand from each of California's 58 counties. 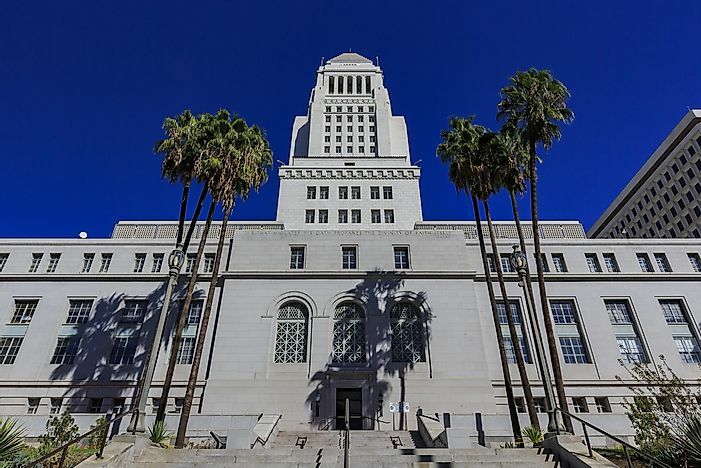 The symmetry of Los Angeles City Hall is very reminiscent of Art Deco architecture. 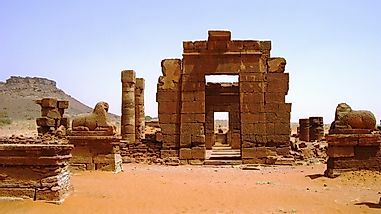 Its design was inspired by the Mausoleum at Halicarnassus, a famous masoleum of the Persian Empire. 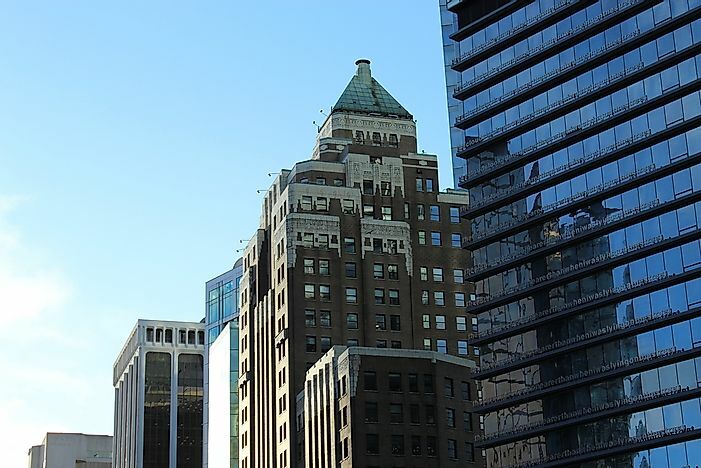 The Marine Building is located in Downtown Vancouver, British Columbia, Canada. The building's ornate design was inspired by the sea. On the walls, there are depictions of crabs, turtles, scallops, seaweed, and sea snails. Hints of sea-green and gold are found throughout the building. It was constructed in the 1920s, and for a time was the tallest skyscraper in the British Empire. 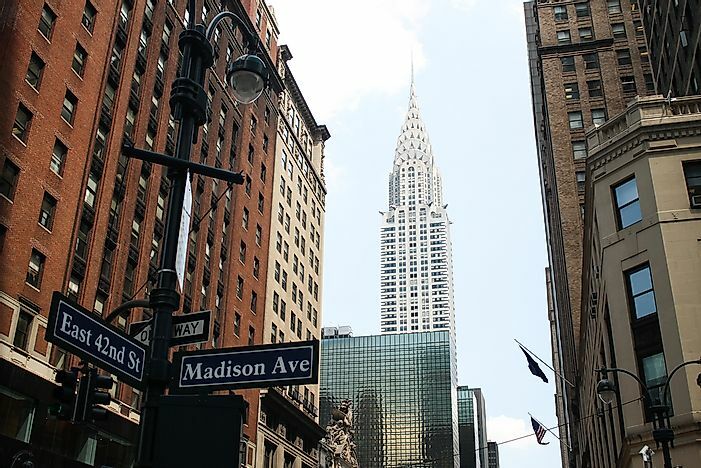 The Chrysler Building is one of the world's most well-known Art Deco skyscrapers. It is the tallest brick building in the world. The building was built at a staggering pace of four floors per week, climbing to be the first structure ever constructed to surpass 1,000 feet. The building is well-known for the ornate design of its terraced crown. The building is currently composed of several office spaces.